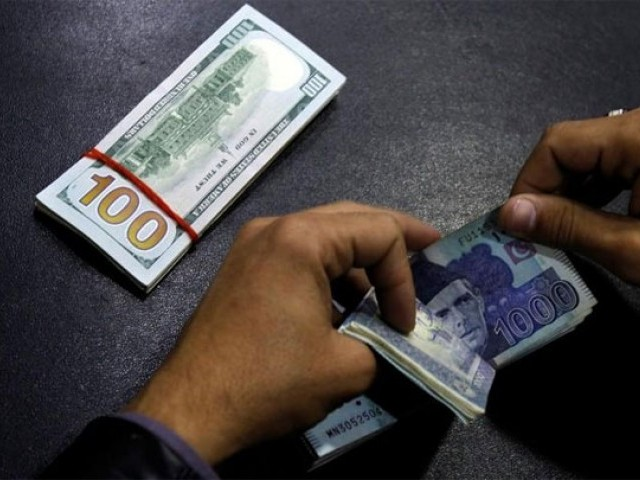 Overse­as Pakist­anis remit $1.32b, calls for using hundi system fall on deaf ears. 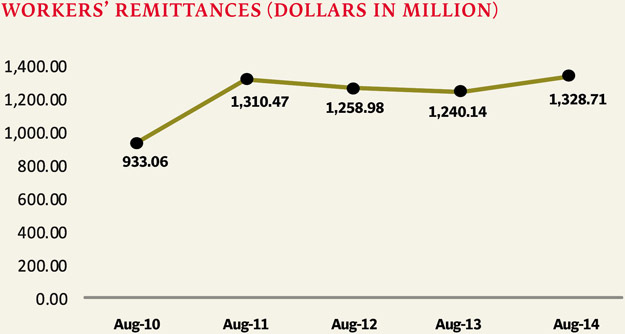 Amid calls to abandon official channels to remit money, overseas Pakistanis sent remittances amounting to $1.32 billion in August, up 7.14% from the same month of 2013-14. As part of his ongoing protest in Islamabad that began in the first half of August, Pakistan Tehreek-e-Insaf (PTI) Chairman Imran Khan had urged overseas Pakistanis to send money home via hundi, which is the illegal way of transferring currency across international borders. But the year-on-year comparison of data shows the public has turned a deaf ear to Khan’s appeal to dodge official money transfer channels. According to the data released by the State Bank of Pakistan (SBP) on Wednesday, Pakistanis based in foreign countries sent home $2.97 billion in the first two months of the current fiscal year, which translates into an increase of 12.61% on a yearly basis. Inflows from Saudi Arabia have been the largest source of remittances so far in 2014-15. They amounted to $851.37 million in the first two months of the current fiscal year. They are up 16.21% from the same two months of 2013-14. Remittances received during the last two months from the United Arab Emirates (UAE) have increased by almost 25.45% to $637.79 million on a year-on-year basis. Inflows from the UAE registered the largest increase from any country during the last two months. Remittances from the United States and the United Kingdom remained $456.09 million and $420.67 million, respectively, in the last two months. The year-on-year increase in remittances from the US and the UK has been 1.14% and 0.05%, respectively. 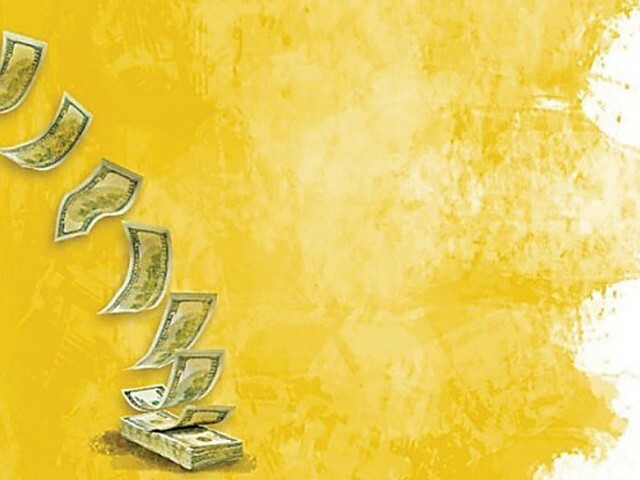 Remittances from Gulf Cooperation Council (GCC) countries, excluding Saudi Arabia and the UAE, clocked up at $331.93 million in July and August, which is 12.18% higher than the remittances received in the same period of the preceding fiscal year. Remittances from Kuwait in the first two months of 2014-15 equalled $123.72 million while those from Oman, Bahrain and Qatar amounted to $101.33 million, $55.63 million and $51.25 million, respectively. Remittances received from Norway, Switzerland, Australia, Canada, Japan and other countries in August amounted to $89.88 million, up 20.38% from remittances of $74.66 million received during the same month of 2013-14. 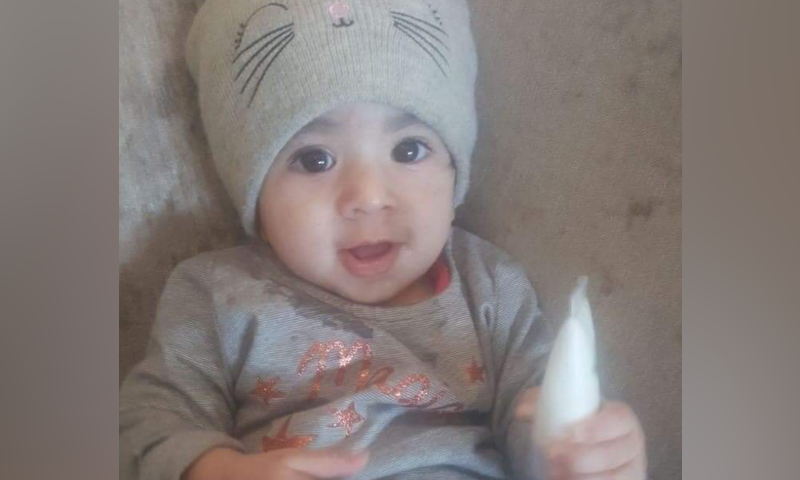 In the last fiscal year, overseas Pakistanis sent home $15.8 billion, which was 13.7% higher than the remittances of $13.9 billion received in 2012-13. Speaking to The Express Tribune in an interview earlier this week, Xpress Money Country Manager Rizwan Hamdani had said it was ‘highly unlikely’ that a person would ever remit money illegally after experiencing the convenience and cost-effectiveness of the legal channels. Under the Pakistan Remittance Initiative (PRI), the SBP offers banks a rebate facility. Under the rebate scheme, neither the remitter nor the beneficiary is supposed to pay any remittance fee to the money transfer company. The SBP reimburses the Pakistan rupee equivalent of 25 Saudi riyals to banks upon each remittance of $100 or more, provided that senders and receivers of remittances do not have to pay any fee. The bank, in turn, shares the rebate with its respective money transfer company as per their mutual understanding. Published in The Express Tribune, September 11th, 2014. Xpress Money country manager says legal channel convenient and cost-effective. Gap widens to $454m as opposed to $125m during corresponding month of previous year. Overseas Pakistanis remit $1.65b during first month of current fiscal year. Why is Imran Khan encouraging people to be dishonest? I understand that you have a grudge, but that doesn’t mean one should break the law….as a PTI supporter getting more and more tired of the IK show. …or is it ‘ black money ‘……returning as white money……tax free ?